In today’s Information Age, there is much which can be learned about a wide variety of spiritual paths. The curious will easily find more than enough to satisfy their curiosity. The step beyond curiosity is “investigation,” and the most fruitful form of investigation is through personal experience. If one wants to know, for example, about ayurvedic massage, he goes to an Ayurvedic center and has one. The Eiffel Tower is known by seeing it; a mango by tasting it. If you would like to know Kriya Yoga, you will want to experience the techniques of Self-realization and evaluate for yourself their effects on your consciousness and your daily life. Here are some suggestions for how you can become familiar with these teachings and with the Kriya masters. “Sanatan Dharma, rightly understood, is rooted in the foundations of the universe. As a teaching, it excludes no practice that is designed to ennoble and uplift the mind, to awaken selfless love in the heart, to inspire longing for the truth, to loosen the bonds of egotism and selfishness, and to deepen our awareness of what is as opposed to what merely appears to be. 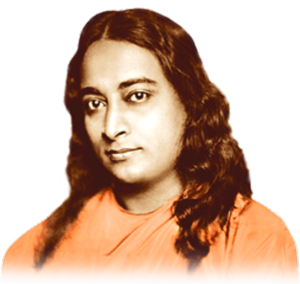 There are many classes and conferences given by Swami Kriyananda and other Ananda teachers on the subjects of Kriya Yoga and the life and teachings of Paramhansa Yogananda. You can see these offerings in Ananda Sangha’s Catalog. The two basic techniques which Yogananda teaches can be learned and practiced by anyone, of any faith, on any path. These techniques bring spiritual and practical benefits to everyone, and are even recommended by some doctors as an aid to improving a wide variety of physical and mental/emotional conditions. The Technique of Concentration chosen by Yogananda is an ancient and well-known practice used widely throughout India. It uses the observation of the breath in conjunction with a mantra to quiet the mind and focus it at a single point. As a youth, Yogananda would practice this technique for up to eight hours a day. Experience and expertise in this technique are necessary for the successful practice of the more advanced technique of Kriya, which requires a high degree of concentration. The Energization Exercises were developed by Yogananda initially as a means by which the boys at his Ranchi school in India could focus their youthful energies and develop their will power. Yogananda called this practice the “Tissue-Will System of Body and Mind Perfection.” It consists of thirty-nine exercises which are to be practiced twice each day, in a specific order. Their practice takes about twelve minutes, and furnishes the body tissues, muscles and organs with fresh, vital energy (prana), while at the same developing will power and concentration. While the physical benefits of these exercises are important for “keeping the body temple fit for God-realization,” their primary benefit is that their practice strengthens the will power, which is the cornerstone of the science of Raja Yoga, and an essential tool for the proper practice of Kriya. You can learn these practices at Ananda Assisi and at many of the Ananda meditation groups in Europe. If you are able to learn them in person, you will benefit from the interaction with the teacher and the other students. After learning the techniques, you can deepen your study through written, audio and video materials. It is of enormous benefit to meditate with others, especially those who are dedicated to the path you have chosen. Regular visits to Ananda communities brings you in contact with people who have been following the path for many years, and gives you a strong spiritual recharge. Participating in a meditation group close to your home is another important way to magnetize your own practices. Look on our website to see if there is an Ananda group near you. In India, people go to great lengths to visit the saints or holy images in a temple, in order to have their darshan, which means to be in inner contact with the transforming vibrations of the holy person or place. Those who are able to renounce their worldly activities will often stay at the feet of a sage or in the vicinity of a temple, because of the magnetic effect that such closeness has on their spiritual practices. There is no doubt that daily “satsang” is one of the surest ways to make rapid spiritual progress. We are fortunate in this technological age to be able to bring the presence of spiritually-advanced people right into our homes, through audio and visual recordings, as well as through their writings and music. Ananda Sangha has video recordings of Yogananda, and both video and audio recordings of many of Swami Kriyananda’s talks, some of them in series of short talks (15-20 minutes) which can be watched on DVD and through the computer or listened to in CD and MP3 formats. Thus one can conveniently benefit from daily satsang. (A catalog of these satsangs and other study materials is available at Ananda and online. After you have had some experience with the teachings and techniques of the path of Kriya, and if you feel a deep inward connection with the masters of Kriya Yoga, you will want to explore the guru-disciple relationship, which is explained in the next chapter. Discipleship initiation ceremonies are available on request at Ananda Assisi and through some of the meditation groups. Before receiving the more advanced techniques, you will want to establish a regular daily practice, dedicating two periods each day to the Energization Exercises and the Hong-Sau concentration technique. When you are relatively solid in your daily routine, you can continue with the Kriya Preparation courses. During this phase of your preparation, you will learn to practice the basic techniques more deeply and more effectively. You will lengthen your meditation sessions to at least forty-five minutes, including the AUM Technique of Meditation, which is taught during this training. Emphasis is given to deepening your inner contact with the Kriya masters, and careful attention is given to practices of pranayama, which help you develop the breathing capacity necessary for the proper practice of Kriya. Courses are available at Ananda Europa throughout the year, and also at some of the meditation groups. Written, audio and video materials are being created for the purposes of review and further study, and also for those who are not able to attend these programs. See “Kriya Preparation, Level One” or write us for further information. After about three months of daily practice of the basic techniques plus those given at the first level of Kriya preparation, you can proceed to your final preparation, during which you will learn techniques taught by Lahiri Mahasaya which increase awareness of and stimulate the energy body (the astral body). Courses are available at Ananda Europa throughout the year, and also at some of the meditation groups. Written, audio and video materials are being created for the purposes of review and further study, and also for those who are not able to attend these programs. After about three months of daily practice of the Level Two techniques, in addition to the Energization, Hong-Sau and AUM techniques, you can request to receive initiation into the first Kriya practice. See “Kriya Preparation, Level Two” or write us for further information. Kriya Initiation is given at Ananda Assisi several times each year, and in other locations in Europe. At Assisi the initiation is preceded by a five-day Kriya retreat which is highly recommended for first-time initiates, so that you can be in the best-possible spiritual condition on the day of your initiation. Study materials are given to initiates during the Kriya Review session, which is the following morning. After the Kriya initiation ceremonies, detailed oral and written practice instruction is given. Audio recordings of the initiation and of the technique review sessions are also available, in addition to recordings of many inspiring classes and retreats given for Kriya practitioners (Kriyabans). Kriyabans are encouraged to have their practice checked often, which can be done with one of the trained Kriya teachers or assistants either at Ananda Europa or at some of the meditation groups, and also by telephone. Kriya retreats are scheduled at Ananda Europa and increasingly at other locations throughout Europe.